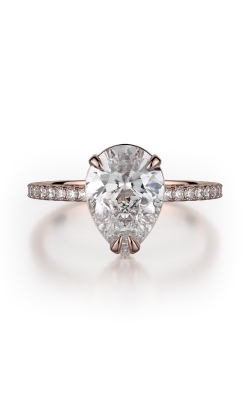 The pear shape ring is a unique and distinct diamond cut that provides a unique glow unlike most other diamond cuts. The pear-shaped ring, or also commonly known as the “teardrop” ring, is noted and known for its teardrop like shape. 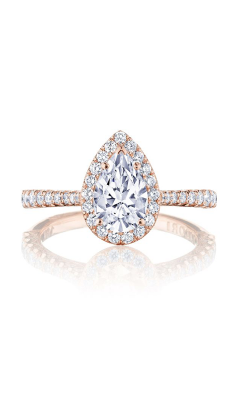 The pear-shaped ring has seen a growth in popularity over the years, and with that growth can be found in a multitude of engagement styles and designs. 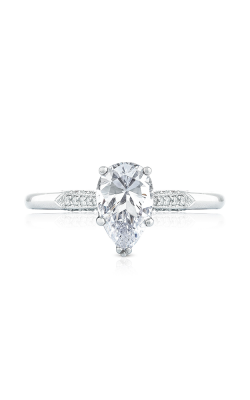 From halo to sidestone rings, pear-shaped diamonds help bring many ring designs to the next level. 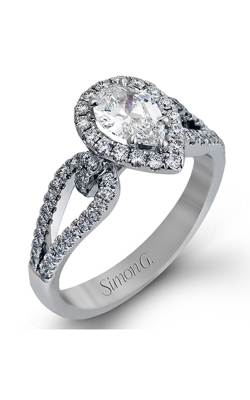 Many of today’s top designers have also come to fully embrace the pear-shaped ring from Tacori to Simon G to Artcarved. 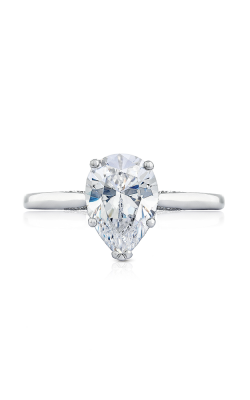 For the bride-to-be looking to have a diamond ring that stands out from the rest, the pear-shaped ring is the one to go with. From today’s biggest designers come some pear shaped rings that one will not forget anytime soon. As a platinum Tacori Dealer, we are happy to provide some of the top pear-shaped rings from this always in-demand designer. 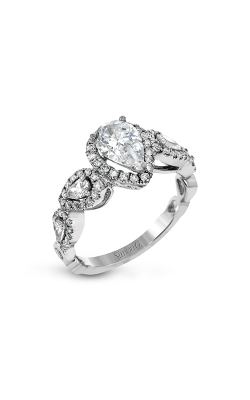 Their Dantela Collection is comprised of teardrop rings that see diamonds dotting along the band itself. 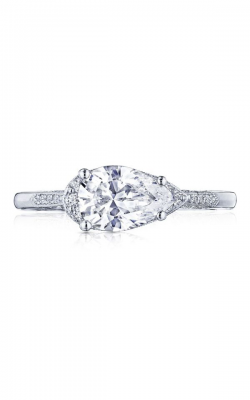 Their Simply Tacori line allows you pear shaped diamond to be the center of attention in this band and also offers bands that can hold the diamond in an East Meets West orientation. 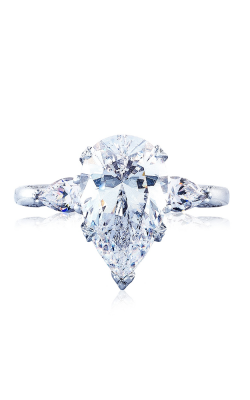 Artcarved also provides some stunning pear shaped rings with the center diamond surrounded by gorgeously brilliant diamonds. Claude Thibaudeau presents engagement rings with unique band designs comprised of twists and curves in their Avant-Garde line. 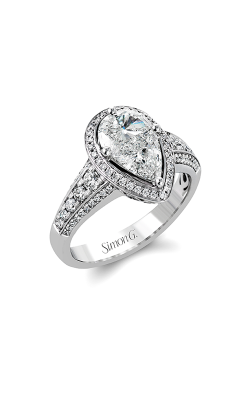 The well renowned and highly regarded designer Simon G carries pear shaped ready bands in their romantically enthralling Passion line, their carefully crafted Delicate line, their exotic and exuberant Vintage Explorer line, and the forever timeless Classic Romance line. If you are looking for a truly sparkling and modern pear-shaped ring, look no further than the Jeff Cooper collection of engagement rings in their Tandem Collection. 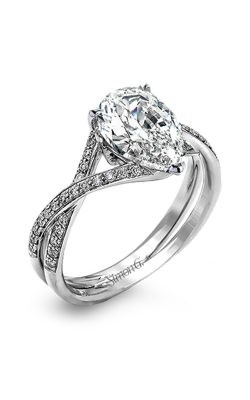 The simple, yet sophisticated, line of Stuller also carries pear shaped rings, in their diamond adorned Halo rings. Located in Ann Arbor, Michigan, Lewis Jewelers has been the go-to source in the Greater Detroit and Ann Arbor Michigan areas. 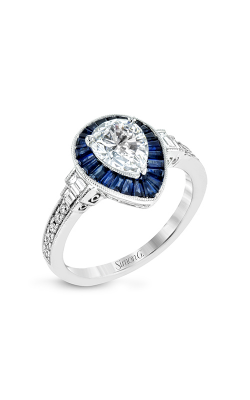 Founded in 1921, the jewelry store has supplied customers with designer brand engagement rings, wedding bands, Swiss-quality timepieces, fine fashion jewelry and certified loose diamonds. Lewis Jewelers attributes its success to building a reputation of integrity, providing excellent customer service and quality products. 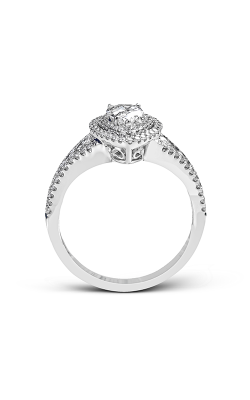 We offer great Risk-Free Shopping experience, and great Financing and Jewelry Insurance options for your precious jewelry. As a Platinum Tacori Dealer, we are proud to be serving our local community designs from the highly coveted jewelry designer. Come into our showroom and experience the collections first-hand today!